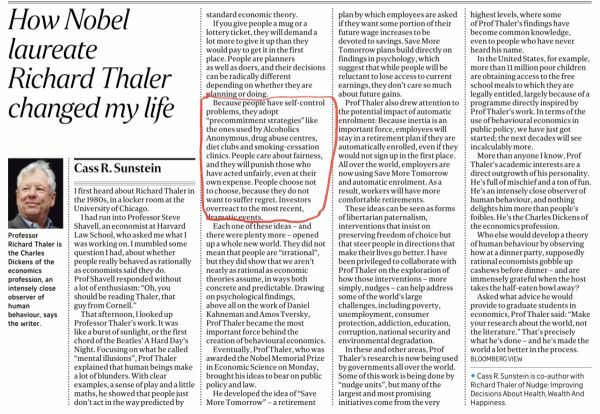 That is not just an opinion from Richard Thaler, whose work I am somewhat familiar for many years now but it has the strength of being proven correct over and over again for which he had won this year Nobel for Economic Science. My point? The PAP better heed this: people here also care very much about fairness. There will be hell to pay at the next GE. Think 38 Oxley Rd; Reserved presidential elections; the MRT system and more to come until we vote again. For the first time we showed up at Hong Lim Gardens to protest the way the president was "elected" this time. We did that because we might have no choice but to vote the damn PAP at the next elections. Unlike the rest of the family, I wasn't disappointed at the turnout. They were hoping that as many would show up like we protested against the population white paper but my attitude was that of a price taker. People made up their own minds and let's see what we have got. From what I saw that late Saturday afternoon, I fear voters' anger would be reserved for the next GE. "People care about fairness, and they will punish those who have acted unfairly, even at their own expense." Bluntly put, we will cut out nose to spite our face. Didn't we see that in the last US presidential elections? Mike Moore was quite vocal explaining it. The PAP must learn there is no free lunch for them when we do not ourselves. They can either take small knocks or one huge knock out because they had gamed the system and avoided the small hits. This is self serving foolishness. 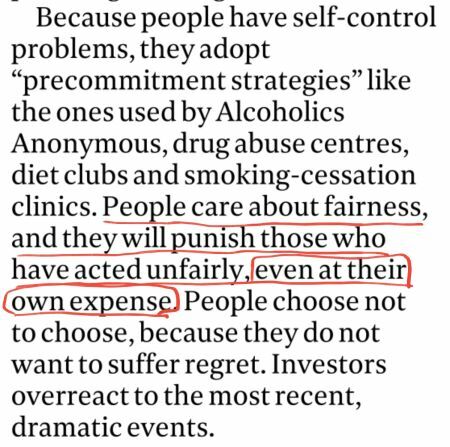 Remember people can't help being themselves and that is the whole point of what Prof Thaler is trying to tell us. Upon reading ur post, I went to check the price of WSJ. It turn out to be US$28.99 beyond the the first three month promo. It is not "less than half of ST" like u mentioned, unless I am missing something. Appreciate ur help if u know of a cheaper way. I pay about USD10 a month for my WSJ subscription via Singtel as a VAS. WSJ partners with many other vendors as well but off hand I am not familiar with who they are. Thank you sir, I will go around to find out more.